A nicely nuanced, well acted film about the disintegration of a relationship. 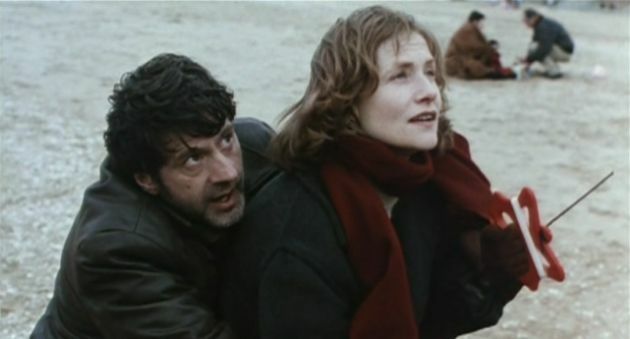 Told in Pierre (Daniel Auteuil)'s point of view, La Separation starts out when Pierre and Anne (Isabelle Huppert)'s relationship has already lost its passion (at least for Anne). They have a 15 month old boy together. But for Anne, love isn't there anymore, as she puts their relationship in one sentence that she read in a bathroom stall: in a marriage hell, there is one who suffers and one who is bored. She declares matter of factly that she fell in love with someone else. They are cordial for a while, going to the parties together and seeing their friends, but it's gnawing on Pierre. It slowly becomes unbearable living together with the knowledge. The emotional explosions are short and small. Lawyers get involved, visitation rights are mentioned. But the film is not about the divorce procedural (I learn that the couple is not even married later on), but observations in human interactions and musings on how we fall in love in the first place. Both Auteuil and Huppert are top of their forms in this.